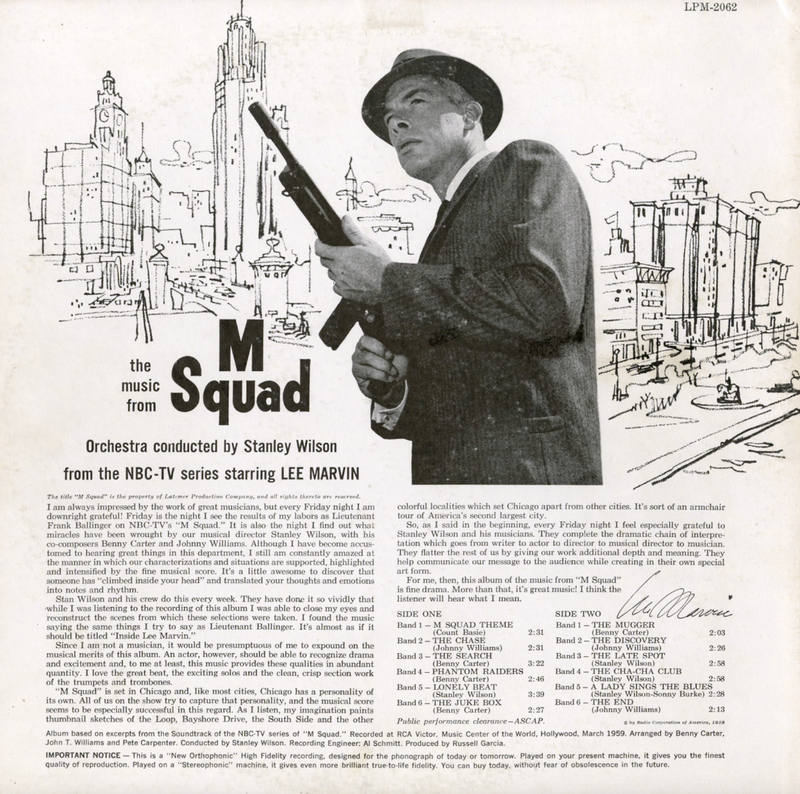 Album based on excerpts from the Soundtrack of the NBC-TV series of "M Squad." From Billboard - June 15, 1959: With the success of "Peter Gunn" and 77 Sunset Strip," TV programs that utilize jazz themes in their background scores, this similar set has a strong chance to step out for big sales. 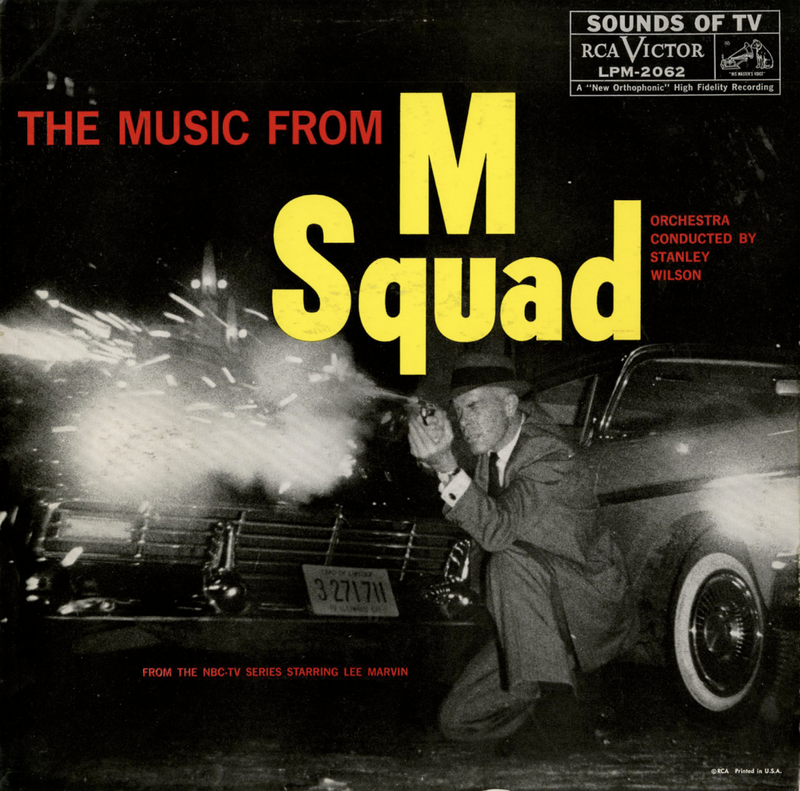 The well-known main theme, cleared by Count Basie is done with a sound that reminds of the Basie orchestra. Cover features Lee Marvin, star of "M Squad," in a shot from one of the telecasts. Stereo enhances appreciation of the set. A likely big one. One of the best soundtracks ever produced.Some of the best and smooth jazz there is! !